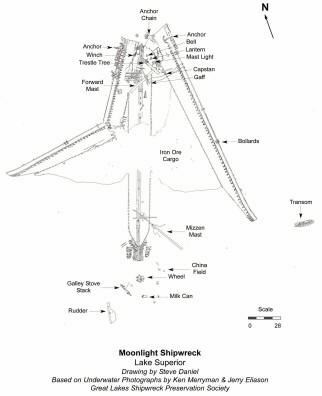 Using the Marquette Project as our template, the 2007 summer focus was on completing the field work for the site investigation and contracting the historical research and write-up for the shipwreck Moonlight. The historical context research was funded directly by GLSPS and donations from Mark Yanik and Lee Selisky and contracted to Brendon Baillod. Brendon completed the historical research and context write-up. 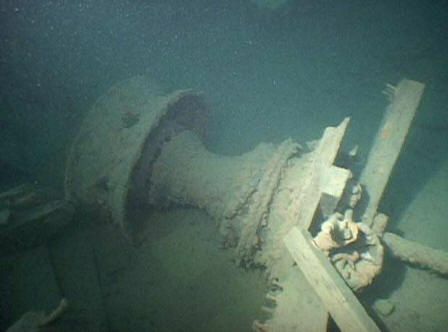 GLSPS members Bob Olson, Rick Peters, Mark Yanik, Greg Hosch, Jerry Eliason, Paul Imsland, and Ken Merryman again worked with Keith Meverden and Tamara Thomsen to complete the site investigation. Artist Steve Daniel drew the site drawing from the photo documentation. The nomination is now complete and was presented to the Wisconsin review board in their spring meeting April 23, 2008. It was unanimously approved for inclusion to the Wisconsin Registry of Historic Places. It was submitted to the National Review Board this fall for inclusion to the National Register of Historic Places and on October 1, 2008 was approved for inclusion to the National Register of Historic Places. This is the third successful nomination to be submitted through the work of GLSPS and its members. 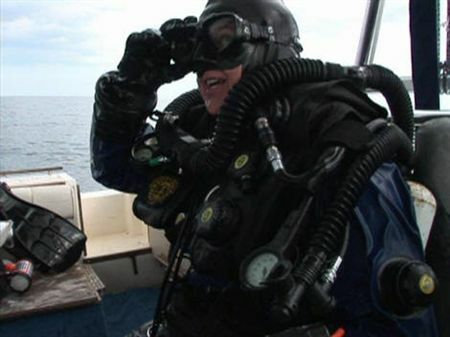 Establishing these shipwreck sites as historically significant sites helps protect them from potential claimants and those who would pilfer the artifacts. 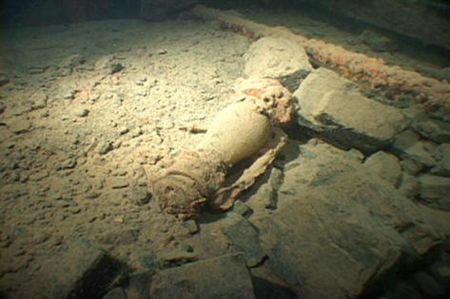 It is our hope that this site with its artifacts will remain intact for divers to enjoy and study. 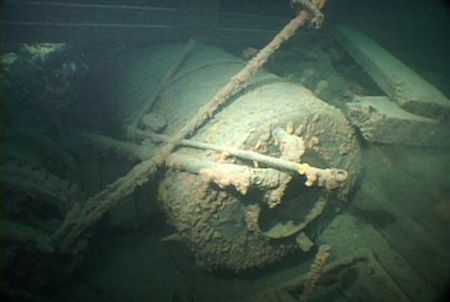 If you dive the site please refrain from moving artifacts since the positional information is important for future archeological studies of circumstances surrounding the sinking as well as studies of ship layout and construction. Our thanks to all who contributed and participated. Our thanks to Keith Meverden and Tamara Thomsen for their patience in working with us. This is a new area for GLSPS to contribute their help and we are learning the process as we proceed. We would also like to thank the GLSPS team that did the site work and Brendon Baillod for his work on the historical write-up. 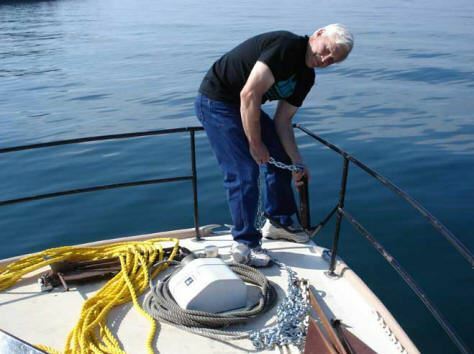 Bob Olson ready to drop anchor for the first dive to fasten the mooring. Wisconsin Historical Society marine archeologist Keith Meverden exits the water after the September documentation project. 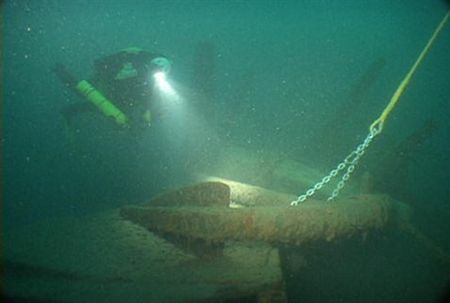 Wisconsin Historical Society noted underwater photographer Tamara Thomsen reports finding the port side running light in the September 2007 documentation fieldwork. 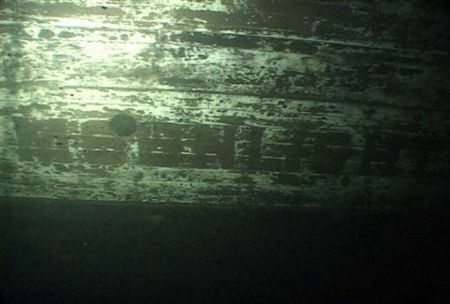 The identity of the shipwreck was confirmed by locating the name on the side which was still obvious after 104 years underwater. 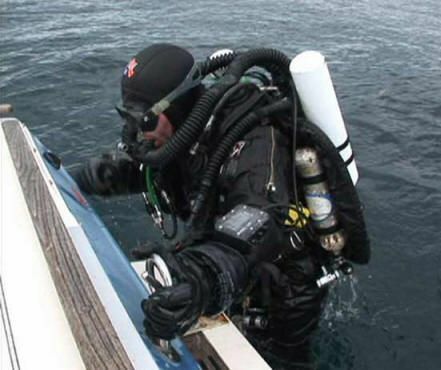 Bob Olson returns to the mooring on the port anchor after a successful dive. The Moonlight capstan a unique and older design. A rare discovery of an intact lantern in the artifact field of the Moonlight. Artifacts like these are documented so if they are pilfered there is evidence to prove their origin. The Moonlight donkey boiler used for running pumps.